No one wants the to be involved in a court case, but there are times when the financial costs are too great and the issues too important to ignore. 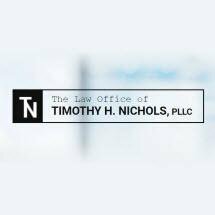 If you are involved in a contract dispute, a construction-related dispute, a real estate dispute, or an employment dispute and only a court of law can give you justice, contact the Law Office of Timothy H. Nichols, PLLC. With more than a decade of trial experience and hundreds of cases to his credit in both state and federal courts, Nashville attorney Timothy Nichols is an aggressive advocate committed to pursuing our firm's clients' best interests in negotiation or litigation. It starts with personal attention and responsiveness to client needs. When you work with our firm, you can count on calls and e-mails being returned, usually by the end of that business day. When you need immediate attention, you can reach us, including on weekends and evenings. Attorney Nichols is a member of the American Bar Association Forum on the Construction Industry and the Tennessee Association of Construction Counsel. We represent private employers defending EEOC claims brought against them in state and federal trial and appellate courts by employees or customers. For both employers and employees, we handle employment contracts, non-compete agreements, and confidentiality agreements, and negotiate severance packages. A skilled negotiator and litigator, Mr. Nichols represents business owners with contract disputes and landlords in landlord-tenant disputes in state and federal trial courts. We offer a free initial consultation. Our office hours are 8:30 a.m. to 5:00 p.m., Monday through Friday, with additional availability by appointment.